Advertising Medium – Radio Advertising On 93.5 RED FM, Amritsar. Low Ad Avoidance as compared to other media. Suitable to reach out to a small geography as well as a complete country. Why 93.5 RED FM Advertisement? 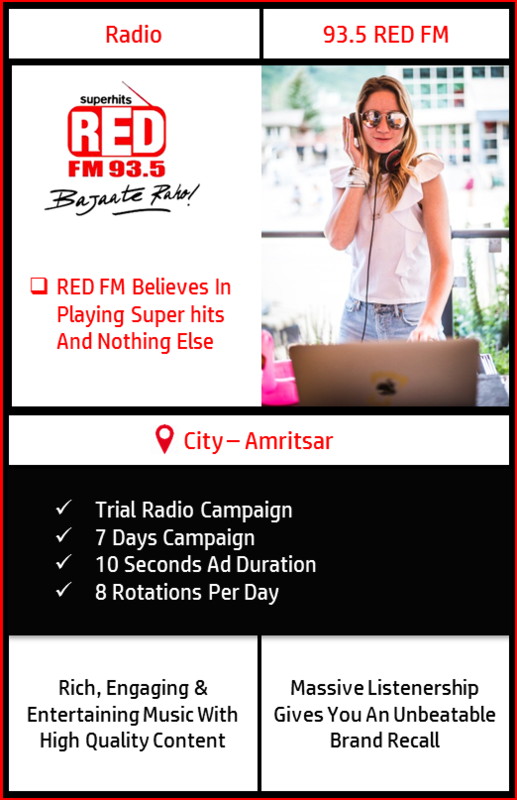 93.5 RED FM is India’s largest and most awarded Radio Network. 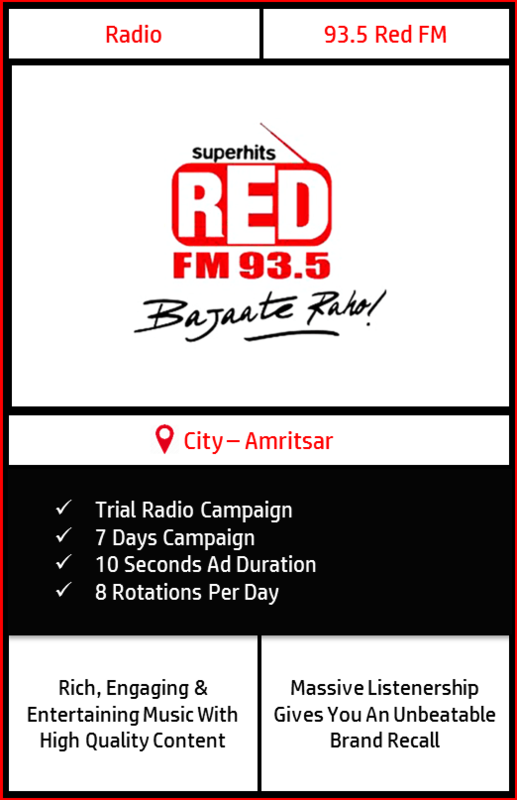 8 rotations of 10 seconds each would be played per day consecutively for 7 days on 93.5 RED FM, Amritsar. The ad can be changed within the tenure of the campaign on client’s demand.